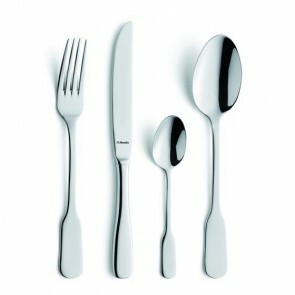 The dessert fork is part of the dessert cutlery set. 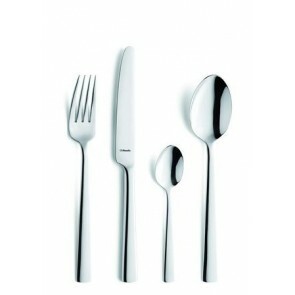 Very useful for tasting desserts, pastries or other sweet delicacies, the dessert fork is available in major brands of professional quality like Guy Degrenne or Couzon. 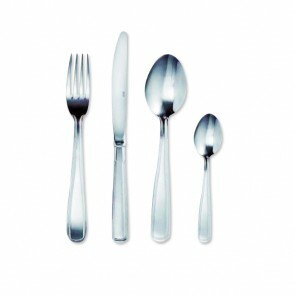 This eating utensil, essential for dessert consumption, is generally a medium-size stainless fork which is used to enjoy a good soft dessert. How about a delicious milk chocolate cake and why not chocolate brownies? It's ideal after a sumptuous gourmet meal! Dessert forks and spoons are a must to enjoy your most delicious dessert recipes in style such as a soft cake with apples to impress your guests or a sponge cake, a Christmas Log or a nut roll that will certainly delight the taste buds of your guests! 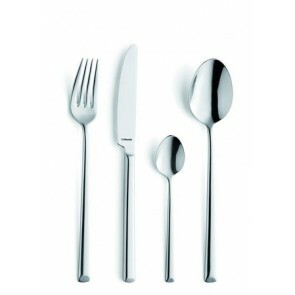 Stainless steel Guy Degrenne dessert fork or cake fork: very specific uses! 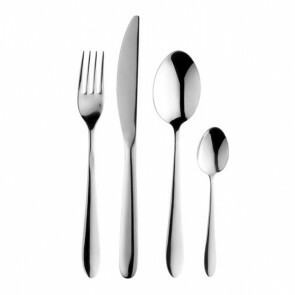 Although it is used to savor a good cake, be careful not to confuse the dessert fork with the cake fork, which is smaller and has three teeth instead of four. Keep in mind that the dessert fork is traditionally placed on the table for a gourmet setting as per the etiquette of formal dining. 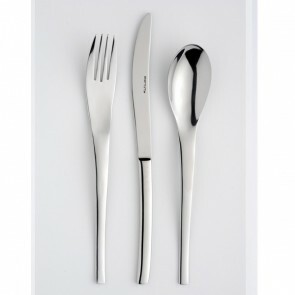 The cake fork is reserved for afternoon tea or tea time to enjoy an easy and quick apple cake or a succulent yogurt cake! The chocolate pie could also be an option for the greediest! 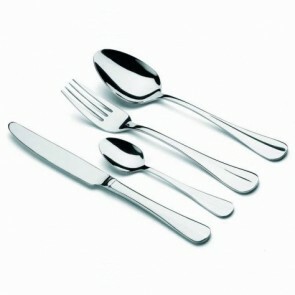 In the United Kingdom, the dessert fork should be placed handle facing left with tines facing the table linen like the dining fork, on the other hand the dessert spoon’s handle is placed pointing to the right. 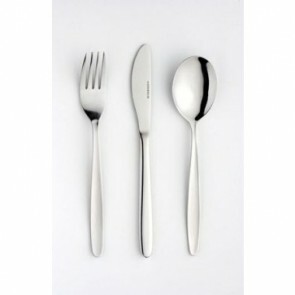 The dessert fork is nowadays mainly made of polished stainless steel (either in glossy stainless steel or in matt stainless steel). 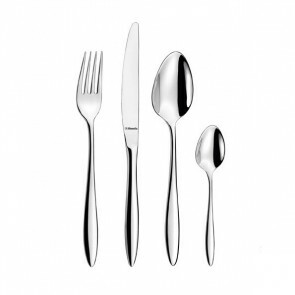 Whereas previously the trend in goldsmithing was solid silver nowadays stainless steel flatware sets are a real favourite for everyday use or gourmet settings thanks to their elegance or sturdiness. 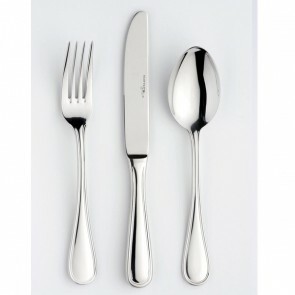 Indeed stainless flatware do not tarnish at the contact of air and humidity. 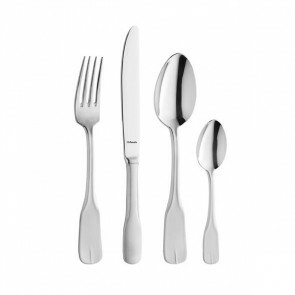 Top notch brands for this flatware item include Bruno Evrard, Victorinox, Laguiole, Albert de Thiers, Pradel, Bugatti or Opinel. 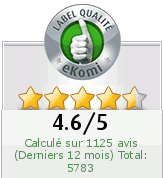 The brands Guy Degrenne, Eternum, Amefa, Arcoroc are also very popular and we strongly recommend them! 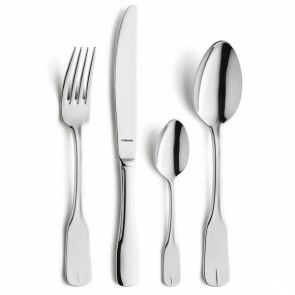 For a perfect Christmas or wedding table setting : discover our range of dessert forks singly sold or available in the in 54 pc to 138 pc flatware sets. 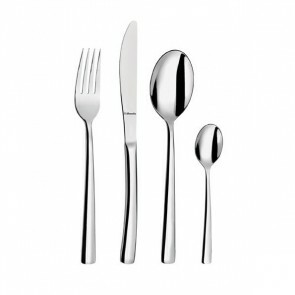 You will AZ Boutique your dinnerware and restaurant supply online store features a broad range of stainless steel cutlery items as well as cookware items and serving utensils such as table knife, butter spreader, salad servers, dinner fork, butter knife cocktail fork to enjoy your hors d’oeuvres or a verrine seafood cocktail, serving platters, oyster fork, cake server, soup ladle, gravy ladle, teaspoon, soup spoon, salad fork, steak knife, serving set, cheese knife and other types of fork and knife! 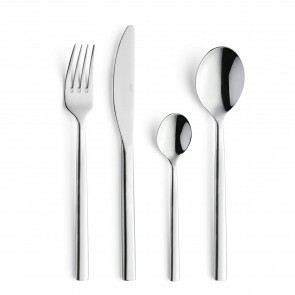 Enhance your tabletop: baroque classic, sophisticated or modern dessert fork, in stainless steel or in silver metal, all Guy Degrenne dessert forks are on AZ boutique for an outstanding table decoration!